Brand new January 2019 Models, The Formuler Z7+ 5G & ZX 5G V2 is arriving to Kuul Media in the 1st week of January 2019. Our Official Trade/Resellers we be the first to get the models in stock from us. 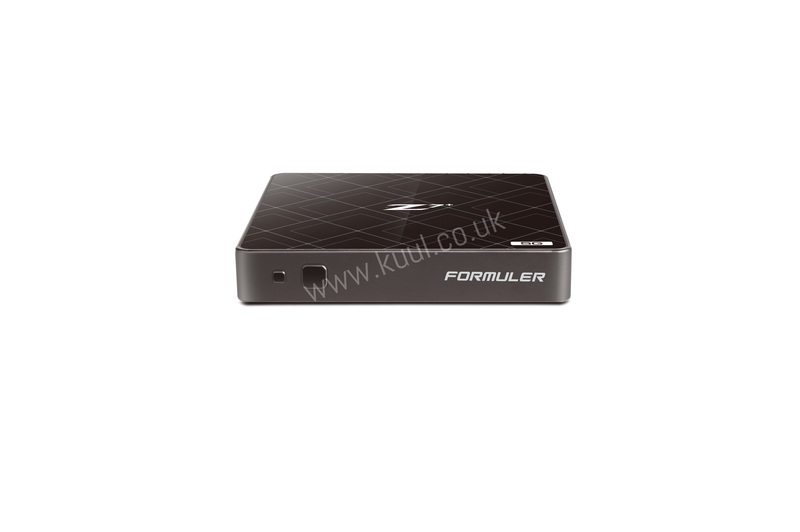 KUUL MEDIA ARE THE OFFICIAL DISTRIBUTOR OF FORMULER BRAND IN UK AND IRELAND. ALL TRADE, RESELLERS, CUSTOMERS WELCOME TO CONTACT US TO PURCHASE OFFICIAL STOCK. Xsarius Pure HD Satellite and Cable Wooshbuild-on Sale Now. 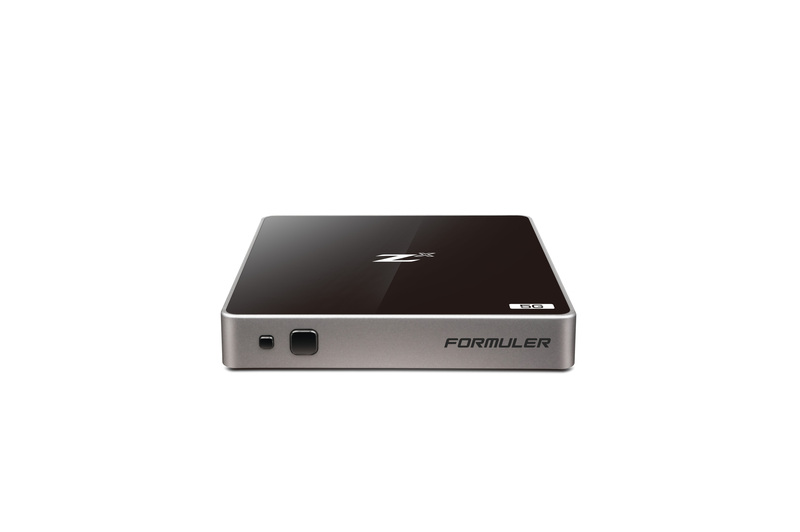 We are proud to announce that Formuler will be releasing the new Z8 4K UHD. Kuul Media and our official resellers will be the first to launch the new Formuler Z8 in the United Kingdom & Ireland. The Z8 will be arriving in the United Kingdom & Ireland between beginning of 2019. Its predecessor, the Z7+ was launched last year and became the most popular selling Android media player due to its increased storage capacity, Android 7 upgrade and of course the unique application for IPTV Portal ‘MYTVOnline’. Now the Z8 superior engine is more powerful and faster than ever! Join us to make the lengthy ethernet cables a history! Order our branded top speed USB wireless LAN adapter that will make internet surfing & shopping a lot easier than before. Read below top 5 reasons to buy our top 5 USB wireless LAN adapter! The gigablue adapter has Build-in WPS button to simplify the process of configuring security on wireless networks. Data speed of 300 MBPS also. It has WEP, TKIP, AES, WPA & WPA2 hardware encryption. With this 300 Mbps USB flash drive, you can connect all VU+ receivers without network cable to the Internet. Also, data of your DLNA home network at all VU+ models can be accessed. So you can easily look at photos that are stored on your computer or on your TV! The ferguson Wi-Fi W02 dongle is a compact, ultra-fast network card, which is compatible with the N standard. The all new cheap xtrend linux satellite receiver ET8500 HD by Xtrend is smaller in size & moreover compact compared to any other receiver. The ET8500 can accommodate up to four tuners. These xtrend linux HD receivers have ability to interchange tuners such as DVB-S/S2, DVB-C, DVB-T/T2 & that is an impressive feature. Xtrend has integrated a 4.3inch TFT/LCD display screen in the ET8500 that can display channel information. You will not believe that this 4.3 inch display serves like a mini TV. Let take a look at the features below. Finally, on the rear there are two large knobs that can be unscrewed to remove the casing easily to access the interchangeable tuners. All this you get for only £220.00! Isn’t it the cheapest one? Contact us for more product info. Order the most beautiful HD visual experience today. Get the maximum benefit of black Friday mega sale by ordering your favourite & branded HD satellite receivers online at kuul.co.uk! Time is running out the mega sale ends on 25th November 2016. Book your order now & get huge discounts on the special mega sale offer today. Order Gigablue, Xtrend & AB-COM receivers this season & enjoy HD entertainment experience. Look at what we have in store for you. 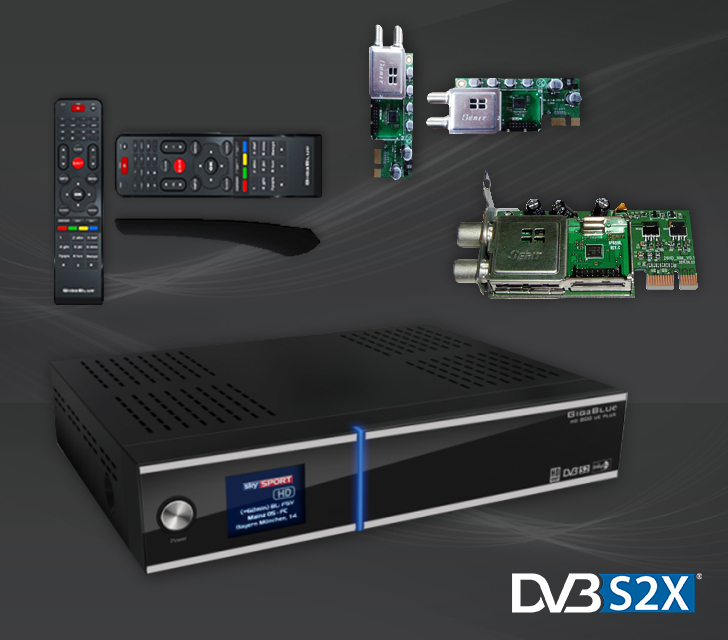 The new edition GigaBlue HD X1 has 1x DVB-S / S2tuner & is available for multi-room or IPTV. This receiver is equipped with a 2x USB, eSATA & 1x Card reader. The model provides all the necessary facilities for a smooth & qualitative TV & multimedia experience. Xtrend have produced an excellent attention to detail when it comes to the ET 7500 with matt black finish on the casing, ventilation grills on the top & sides, glossy black front display screen with a feather touch power button and a digital display. The Prismcube Ruby is the world’s first satellite receiver with integrated XBMC platform. The widely popular XMBC platform offers numerous multimedia accesses to TV shows, movies, entertainment, podcast & much more. The best highlight of XBMC platform is that it offers free access to the best multimedia available today. The all new model of AB cryptobox 600HD is a perfect combination of digital satellite receiver & multimedia player in its full HD 1080p resolution. It is best for mounting in TV or in a hidden compartment. It has routed IR sensor with numeric LED display and the on/off. You can access IPTV streaming, watch live video & control receiver on android & iOS devices. The main motive behind developing VU+ ZERO DVB-S2 linux HD 1080P receiver is to make the entertainment more affordable. And this is to be done on continues basis. VU+ strives to make the visual entertainment more & more pleasing at lowest possible cost. As the brand name for VU+ stands, ZERO is a brilliantly competitive receiver not only pricewise but also in the performance. In this way ZERO tops the chart of cheapest DVB-S2 tuner ever. ZERO is truly exclusive in many ways! Read below. It is indeed a tough task to maintain low price of a product while elevating its functionality. The same innovation is done in VU+ Zero. It comes with a powerful CPU enough to support all the multimedia functions. The slim design has integrated all important connectors in a well mannered pattern. If you have more than one HDD integrated Vu+ models then you have got the exact product in hand. ZERO is best for those who use SOLO2 & DUO2. You can play multimedia contents stored in DUO2 or SOLO2 when you get connected to your home network. It is an ideal solution to a second set top box. 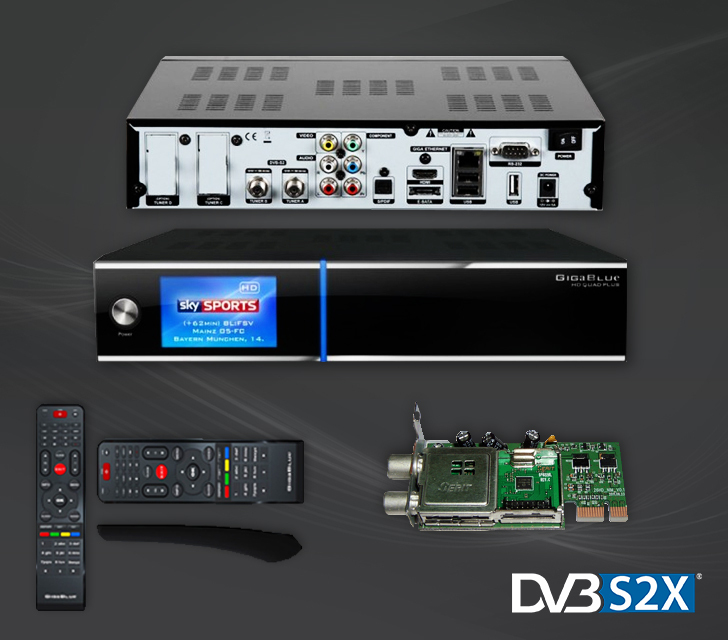 Visit our set top box collection to browse other affordable twin tuner satellite receiver. Check out special price for 2 of the best gigablue satellite receivers at Kuul.co.uk! Check out the technical details & difference in them. Click the blog to read. The gigablue HD 800 UE plus is the revised version of 800 UE with a fast 750 MHz processor that ensures power processing effectively. The difference with these two is the display. The 800 SE gigablue has 7-segment refined LCD display installed in this model. While the 800 UE plus lets you install optional tuner upon request. Remember being an optional tuner you need to specify while purchasing the same. Features of Gigablue 800 UE  Realtek RTL8192CU 802.11n  Linux, window XP, windows 7 & 8 compatible  Data rates upto 300Mbps  Varied modulation schemes  WEP, TKIP, AES, WPA & WPA2 hardware encryption  Build-in WPS to configure security on wireless networks #2 GIGABLUE QUAD PLUS BLACK Another innovative product from the magic box of gigablue brand. This product integrates an elegant dynamic design in contemporary black. On the front panel it has a large TFT Display, a sleek chrome power button, 2 card readers, USB port & control buttons. Each component is manufactured to high standards with a big 1000mbps ethernet port, built-in twin tuner (DVB-S/S2) & options to add additional tuners. Features of Gigablue Quad+ Black  Integrated HDTV twin tuner for satellite reception  2 x plug & play hybrid tuner option  Recording of 16 HDTV broadcasts  Reception of free & paid TV channels  HDTV PVR with e-SATA or USB  Multimedia archive for image, video & music files  Timer recordings (once, daily, weekly, etc.)  Play multimedia files such as MP3, videos & JPEGs in HD quality  Electronic Program Guide (EPG)  Connectivity options for external devices, such as digital camera, external hard drive etc.  Optical output for crystal clear sound of cinema  Multimedia Archives for picture and sound via network  Colored 3" LCD Display  Web browsing facility  Network Interface streaming function  Plugin service (extensions) & software update via network  Program list via plugin service  Plugin for iphone & android smartphones  IP TV, IP Radio, Web media Bring home these 2 products & be the first to review them. Contact us for more details, technical specifications, product price etc. We will be happy to help you.